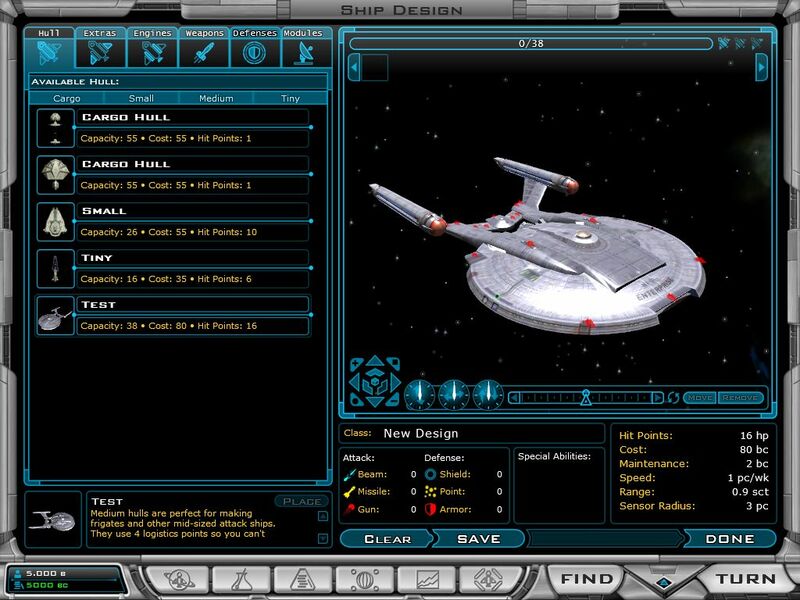 Damn, shouldn't have Star Trek faded away 50 years ago, hell there's propably 1000 mods Enerprise mods in the library, and they give you a medium ship hull which looks exactly like this one, no offense to anyone but I seriesly didn't know there where this many geeks in existence. And I thought I was a geek. 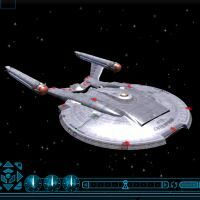 If you want more StarTrek ships go to http://forum.startrekgc2.net/downloads.php they have some really good ones. I have the 1.2 Patch installed and the NX and the Constitution work fine. Did anyone know where i can get more of this Great Ship Designs of Star Trek Ships ? This is a great ship I really like it, though I'd like more hardpoints some on the warp narcels for engines and more around the saucer and some more on the top/bottom of it. But other than that it's a great ship. what does it mean in the readme file for this thing when it says copy the files to "GalCiv2/Mods/Default" folder. i dont have a default folder. in the "Mods" folder i have the folders "Data", "EventMusic", "Example", "Gfx", "Movies", "Music", "Screens", and "Sfx". then below those folders there is also some XML Document "ModDescription". i dont know a lot about this stuff. ive only ever bought 4 'puter games. can someone help me out? Thanks, but I can't take credit for anything but the conversion and hardpoints. The model and textures are just a conversion from a Bridge Commander mod. The original looked better, in fact, but I was unable to get all the detail through to GC2. The lightmaps won't function, and for some reason the materials always come through too shiny. It still looks pretty good. I've updated the mod for 1.2[b], which has better mod support. This should really clear up questions about where to put the files, as problems with file names and locations shouldn't be as big of deal. Hopefully this will help, anyway. Leave the other file names as is, only the model file has to be changed. The S99_ prefix makes it available to all races, by the way. Don't forget the underscore in the filename, it's important. Matthew, nice work on the lighting and textures. It is a great ship! I've tried placing it everywhere now, in My Games, in the main GalCiv2 folder (under gfx/models etc. of course), you name it. No matter what I do, it won't show up. I cant get this to work in 1.11...can anyone confirm this works with the newest patch? Thanks for the invitation, but that site seems to be broken.